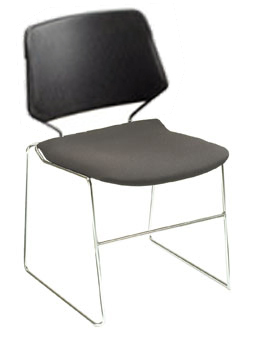 Ideal for classrooms. 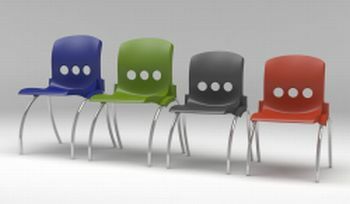 Stylish stacking chair in three heights and a range of colours. Chairs nest together when not in use taking up minimual storage space. Also available upholstered. Tema Chair An incredibly well-constructed and stylish chair. Ideal for schools & venues. Offers good stacking (20 high on trolley), skid base, upholstered seat and back with optional linking device. Perfect for audiences and musicians. This chair features an outer protective seat back, generously padded seat and back, available in a wide range of fabric colours. 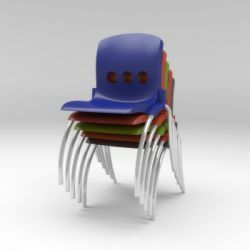 Chairs can be linked together and are also available with or without side arms and writing table. Storage Transport Trolley will hold 10 stacked Venue chairs. 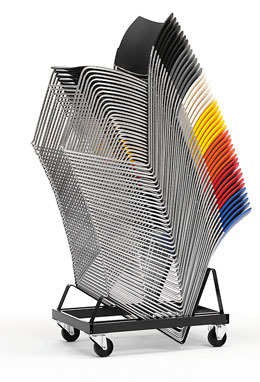 Chairs stack 45 high on specially designed trolley (see photo below). 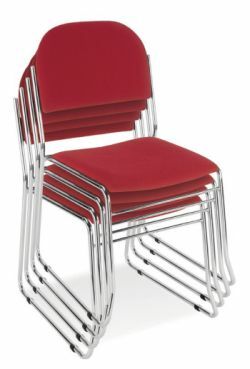 Chair features 10mm chrome frame with skid base and 10 year guarantee. 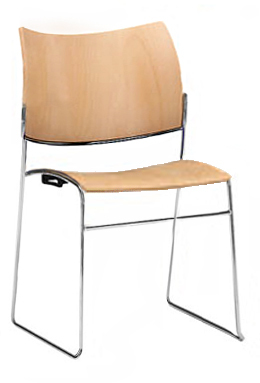 Chair dimensions are 485w x 565d 830h (seat height 460mm). Stack up to 45 high on purpose made trolley. 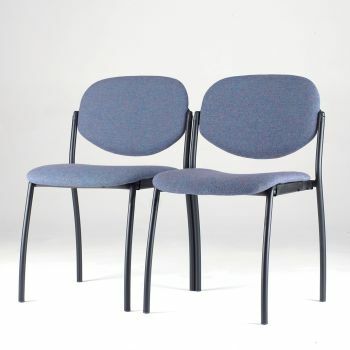 Will accommodate 45 poly chairs; 32 wooden chairs; 22 chairs with upholstered seat or 12 chairs with upholstered seat & back. 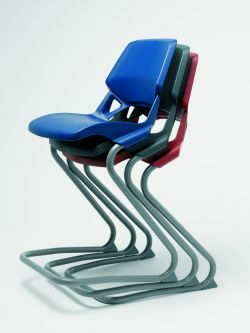 A craftily designed chair that actually prevents students from tipping back! 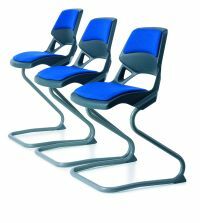 These chairs not only meet the exacting European Standards which enforce the need to give extra support to a pupil's back, but they also offer a distinctive design that's attractive in any classroom. Quite simply, a must have! Available in White, Green, Grey, Charcoal, Red & Blue.